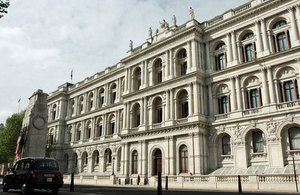 Foreign Office Minister for Africa, Henry Bellingham has made a statement following the announcement. Following the announcement of dates for the Nigerian Presidential elections, the UK’s Minister for Africa, Henry Bellingham MP, has stressed the importance of these elections for Nigerians, for Africa and for the International Community. ‘It is vital that every effort is made to ensure credible elections so that Nigerian citizens have confidence in their democracy,’ he said. Mr Bellingham noted that party primaries would soon be held.